Photo courtesy of Steins Beer Garden Cupertino Facebook. Crafts & Brew, a San Diego based company that holds DIY project classes at select breweries, bars and restaurants , is hosting a Build & Sip session at Stein’s Beer Garden on April 13. Craft & Beer’s event is an opportunity to enjoy DIY crafting while enjoying delicious brews. Participants can choose to DIY either a 6-pack Beer Caddy or Nail & String Art. 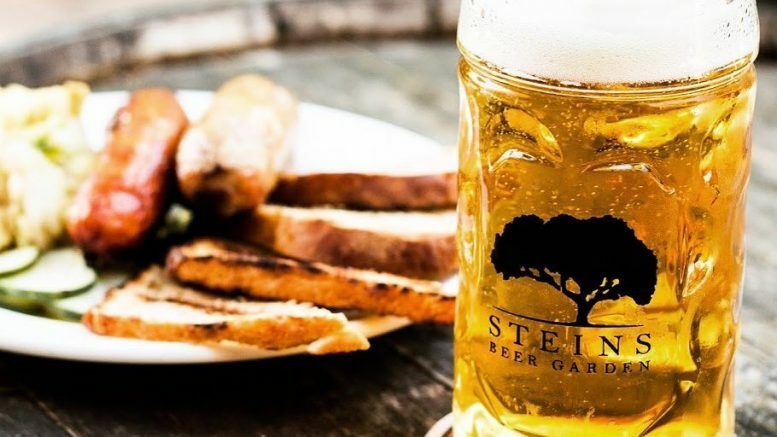 Steins Beer Garden is located at 10088 N. Wolfe Road, and the Build & Sip event will take place from 11:30 a.m. to 2:30 p.m.
A first time special is being offered with promo code ’30OFF’. Every ticket purchase includes a free beer (limited selection) and a free t-shirt. To purchase tickets, click here. Be the first to comment on "San Diego craft company hosting DIY “Build & Sip” event at Steins"